Cathy Purdy needs her mobility scooter to get around. But on Friday morning she ran into trouble when the front wheel on her scooter went flat, leaving her stranded behind Fairview Park Mall. She called the scooter company but they said they wouldn’t be able to come for a week. Purdy sat outside for an hour and half, hoping that someone would stop. She says she was cold, and starting to panic about how she, and her mobility scooter, would get home. That’s when Keith Lee and his tow truck drove by. He saw her waving and stopped. After Purdy was safely in the truck Lee went to work getting the scooter on his flatbed. Then they drove the three blocks to her apartment. Lee then handed her his business card. 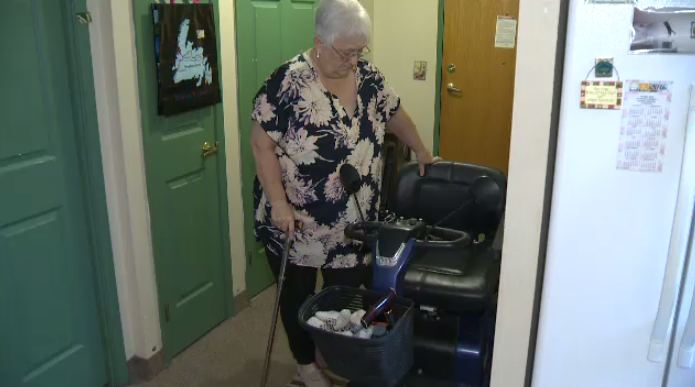 Purdy says Lee’s good deed shouldn’t go unnoticed and that’s why she contacted CTV with her story. Lee says he was happy to help.